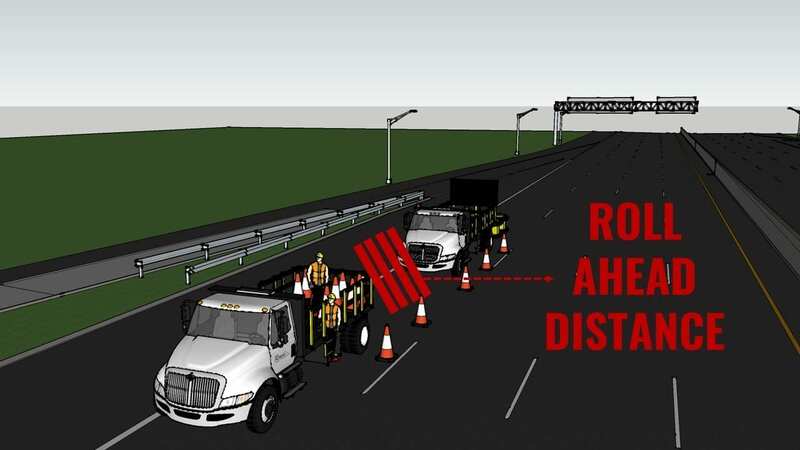 Here are the four reasons why every lane closure operation should have a cone safety truck! 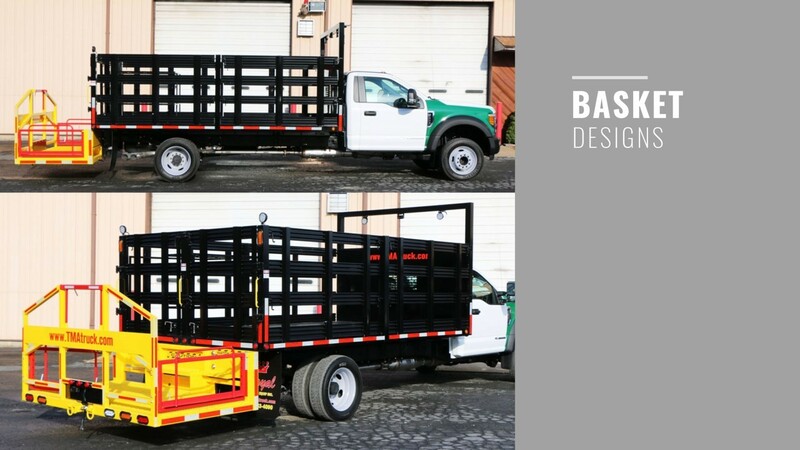 On the back of the truck is a mounted hydraulic man basket, made specifically to be utilized as an area to lay and remove cones and barrels from. Being 30 inches deep and a full 8 feet wide, the man basket has more than enough room for individuals to comfortably lay and remove cones or barrels. In terms of safety, the man basket’s safety bar can be easily adjusted according to the height of the worker. You may be wondering: Why is the man basket hydraulic? Can’t it just be stationary? Because the man basket is hydraulic, it has the ability to be lowered and raised as necessary, thus shortening the distance a cone or barrel needs to be lifted and reducing the strain on workers’ backs. When workers remain healthy, operations can run as efficiently as possible. Needless to say, your workers will be clearly visible to oncoming traffic, making a safer work environment for them to operate in. Storage is obviously a crucial element to effective work zone operations. When you have adequate space to store everything you need in an operation on a single truck, the operation runs smoother. The cone safety truck’s bed ranges from 12 feet in length all the way up to 22 feet in length. With the knowledge of the size of your operations in mind, you can have a cone safety truck to perfectly fit your needs. Another consideration is how high you plan to store barrels, cones, or signs on the bed of the truck. 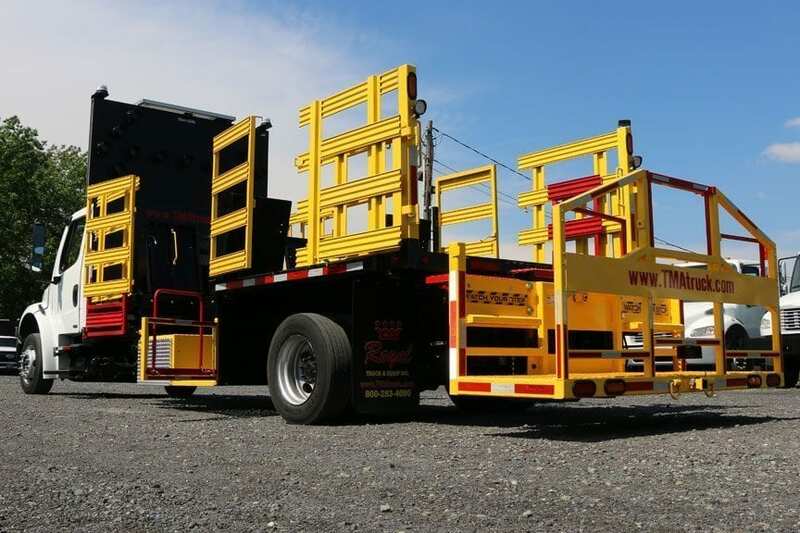 The truck comes standard with 36” high steel racks, which should suit most operations. If plan to store items higher than 36 inches, the cone safety truck also has drop-ins for the racks that increase their height to 48 inches. Another crucial element of the cone safety truck is the arrow board. On this truck the arrow board is free standing on the front of the bed and independent of the bulkhead. According to the “Guidelines on Ensuring Positive Guidance in Work Zones” from workzonesafety.org, arrow boards are able to, “provide clear positive guidance information that a lane is closed in a work zone.” The high visibility of the lights on the arrow board make channeling traffic in a lane closure run smoother, thus leading to a more effective operation. Lane closure operations, especially at night, present potentially dangerous situations for workers. These operations need to be done efficiently, effectively, and safely for the closure to be a success. 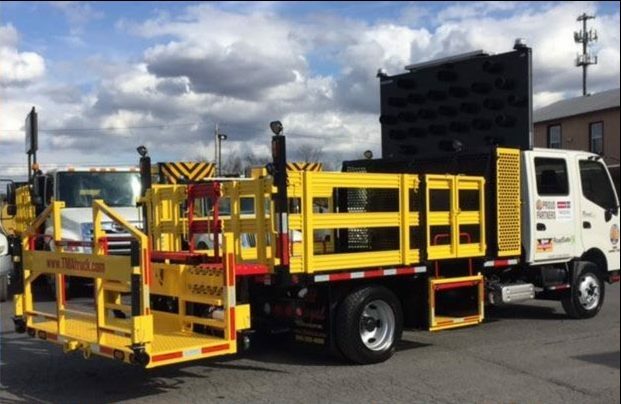 The cone safety truck’s build not only allows for significant space for workers to operate but also contains several safety elements, making the zone a much safer work environment. 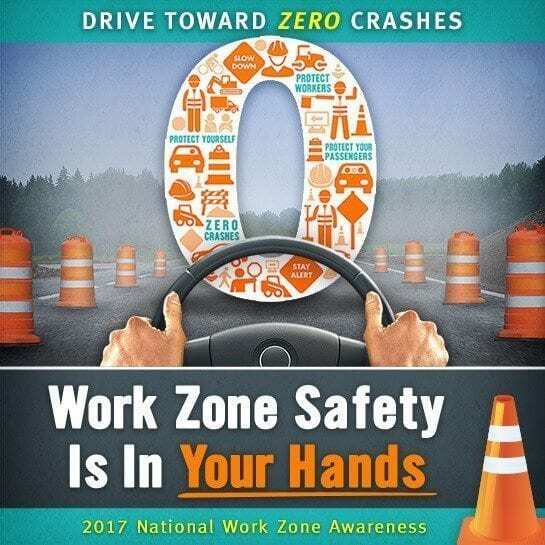 If safety is a priority in your highway work zones, as it should be, a cone safety truck or a traffic control truck is a must for lane closure operations. 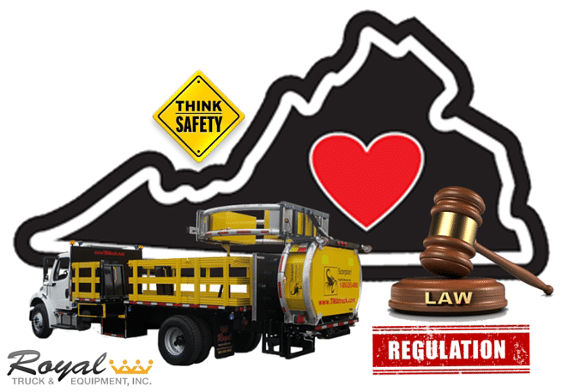 Do you want to learn more about cone safety trucks? Watch the video below, where Ashley demos a 2007 GMC 7500 16’ Cone Safety Truck!